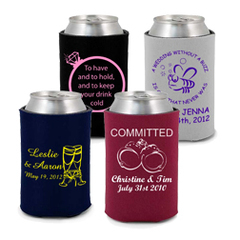 When attending a special gathering or occasion, sometimes the hardest part is keeping those beverages cool. 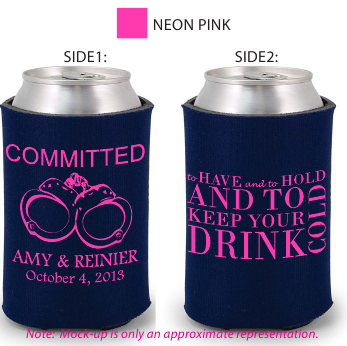 With custom koozies, this is no longer a challenge. We offer a variety of assorted koozies including cup, bottle, and can coolers to keep your beverage refreshing for the entire evening. Although ideal for many special occasions and get-to-gethers, many wedding guests are finding a practical use for them. 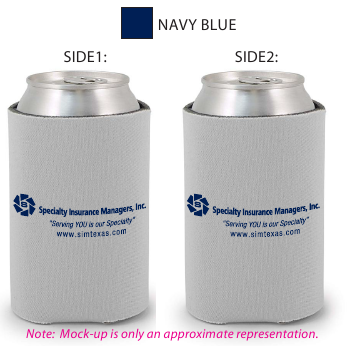 Available in a variety of colors and patterned textures, custom koozies make great party favors to be used during receptions and parties. Give them away as gifts or memoirs to remember that spectacular wedding day or reunion. Don't worry about uploading your artwork - its much easier to email! After you place your order online you will receive an email with instructions. 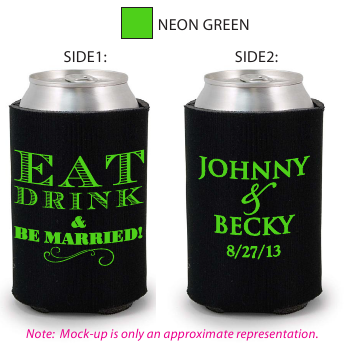 Each and every koozie order will get a PROOF prior to production! Call with questions! Split your order and have 1/2 your order a different color. Same color ink will be on all items. Clipart to Include: * Must be between 0 and 150 characters.